The mission of the Alliance for the Great Lakes is to protect and restore the Great Lakes for people and wildlife—forever. During our visit, we had the chance to meet with the president and CEO Joel Brammeier, who spoke about the Alliance and the advocacy work the organization does to advance its mission. While the organization’s advocacy work never slows down, summer is a particularly busy time. As an example, Brammeier explained the Toledo Water Crisis of 2014, and the algae blooms that contaminated the city’s water. The high heat of summer in addition to excessive nutrients can spark algae blooms this time of the year. Just a few week ago, Illinois had a scare, as a silver carp was seen past the electrical barrier on the Calumet River, about nine miles away from Lake Michigan. These are more local examples of the organization’s work, however, the organization spans the entire Great Lakes region. They have other offices in Detroit, Muskegon (Michigan), Cleveland, Buffalo, and Milwaukee. More importantly, the Alliance’s message applies to situations all around the world. As Brammeier explained, there are people who live within a few miles of the largest network of freshwater in the world, and do not have access to safe drinking water. This is an unthinkable problem for the millions of people around the world who also struggle to find clean drinking water. 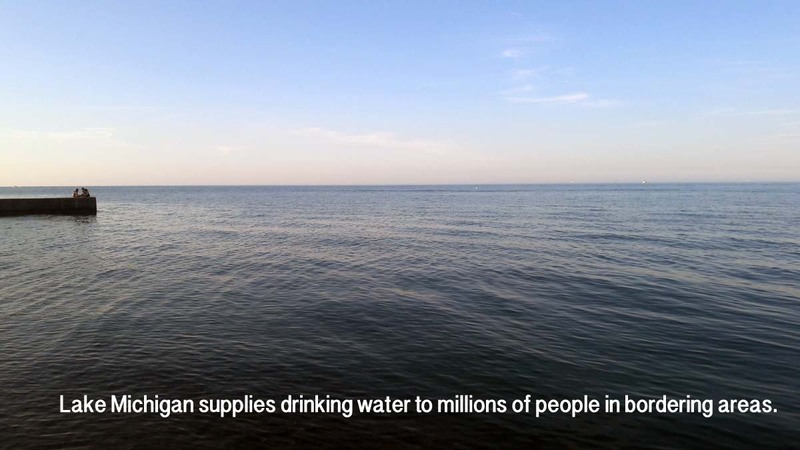 Access to clean drinking water is a fundamental right, yet so many people around the world and even neighbors to the Great Lakes’ cannot claim this right. The majority of people living within the Great Lakes watersheds do have clean drinking water, and many of us take that for granted. I am one of those people. Growing up in Milwaukee, I spent my summers playing at the beach and vacationing on the shores of Lake Superior in Minnesota. When I would visit family members in other parts of the country, I always thought the well water tasted funny, but never made the connection back to Lake Michigan. As a student at Lawrence University in Appleton, Wis., I have visited Lawrence’s northern campus, Bjorklunden, in Door County a number of times. 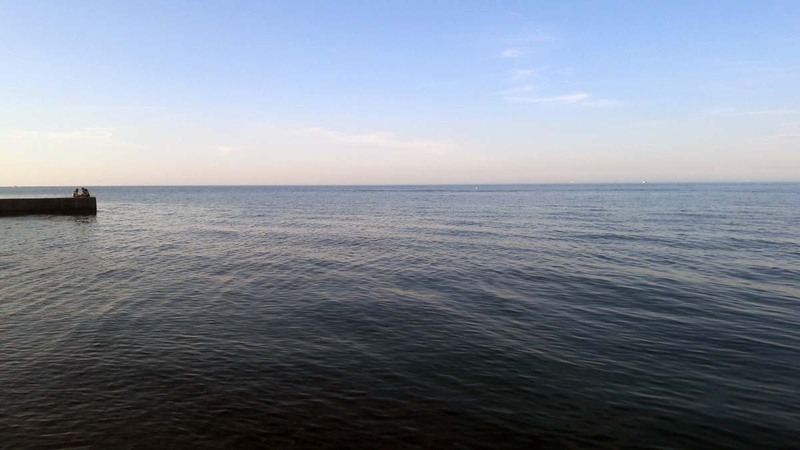 One time a friend (not from the Midwest) made a comment about Lake Michigan looking like an ocean. After thinking about it for a minute, I said, “Yeah, it is kind of like a freshwater ocean.” I had never thought about the lake in that way as I was so used to seeing it every single day. But just like the oceans, we as residents need to do our part to maintain this invaluable resource for now and future generations to come. Last fall I had to opportunity to study in Ecuador for a few months. During that time, I spent a few weeks living in a rural, indigenous village. I was there as an intern, volunteering on their community water project. I lived in a house without water. Not only was there not clean water, there was no water at all, and it was not for the lack of resources (although that was part of it). For a community that makes its livelihood by growing crops, a lack of water infrastructure is threatening. While the remote location did not help the situation, the main issue was a conflict between residents’ water rights and the local government’s perception of those rights. After helping them construct their own water collection system and learning about their continuing water struggles, I came away with an even greater appreciation for Lake Michigan and the value it brings to my community. As the only organization solely dedicated to the Great Lakes, the work the Alliance for the Great Lakes does is all the more important. Because of the Alliance’s persistence and dedication to our freshwater, we have access to safe drinking water, lakefronts to swim in, booming tourist businesses and much more. If other countries had more organizations like the Alliance for the Great Lakes, my friends in La Tola Chica community would probably have running water. When I accepted this internship at the Forest Preserve Foundation, I did not expect to have experiences relating back to my time in Ecuador or all the times I’ve spent on the beach or drank water from the tap, but I’ve become really passionate about the Great Lakes and the hard work of the Alliance. Thank you to Joel Brammeier and the Alliance for the Great Lakes for the inspiring presentation and commitment to the Great Lakes.